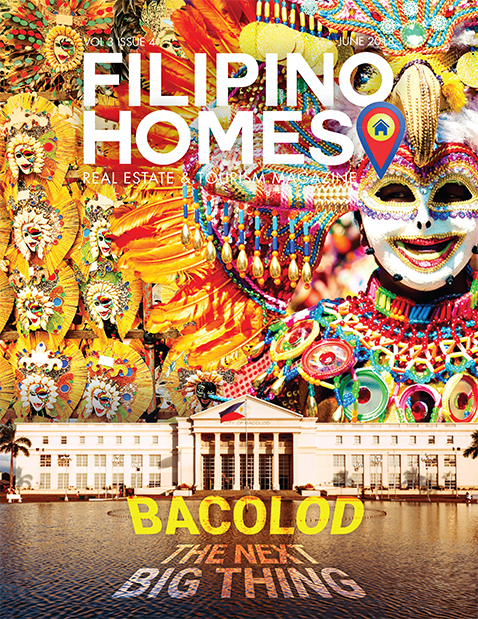 Deciding to buy a real estate property or land in the Philippines is a serious one to make. Aside from the amount of money that it requires, the process of purchasing involves contracts, legalities and of course there is the fear of being defrauded. Before anything else safety and precautions should be done. You have to make sure that everything must me properly planned to ensure that the process will go smoothly. It is best to consult with professionals like licensed real estate brokers or even lawyers when buying a property. Better knowledge will always keep us ahead and it is important to always be aware of the do’s and don’ts. One vital part of purchasing a property is making sure that documents are certified true. The key to spotting a fake title is summed up in one word: vigilance. Knowing what to look for and where. In obtaining an original certificate of title, be vigilant and have it verified from the Register of Deeds. You can check if the initials, signatures, technical description, annotation and other component elements appearing on the front and at the back of the original are exactly the same as that appearing on the owner’s duplicate copy of the title. Any variance is a ground for suspicion. Judicial Forms for titles are considered accountable forms. A serial number is assigned to each judicial form. The Land Registration Authority (LRA) distributes the judicial forms with serial number in consecutive order to the various Registries of Deeds. A number is assigned to each judicial form. It is indicated on the upper left-hand corner of the form. Any certificate of title bearing a serial number which is not among the ones delivered to a particular registry is of doubtful authenticity. It is also important to check that the Judicial Form number matches the year the form was printed or revised and the last two digits of the title number should correspond with the page number of the registration book indicated on the upper right corner of the title. NALTDRA or LRA watermark that can be seen when held against the light. 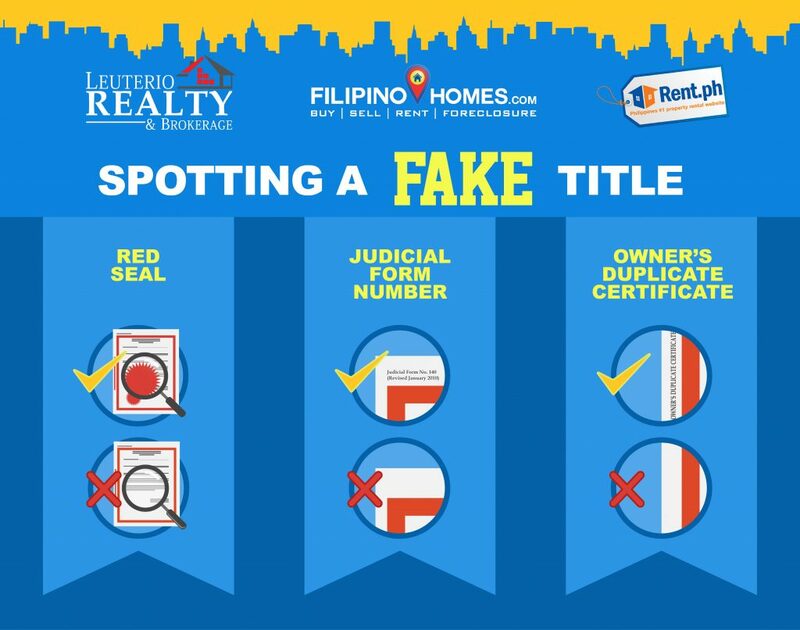 According to Land Registration Authority (LRA) patently fake titles are usually printed in forms made of cartolina or some other material of inferior quality. It’s a horror to know that a real title exists somewhere and someone else owns the property. So as early as possible before plunging in the decision of purchasing a property, the knowledge on spotting a fake title at an early stage is a must.